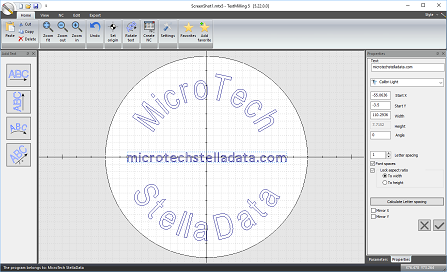 TextMilling is used to create text signs and engravements with different fonts and appearances. 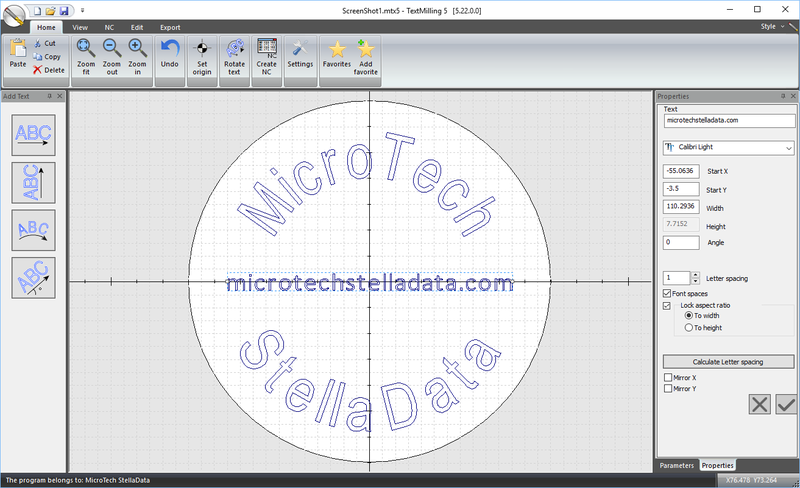 The given text will be placed in the desired location, where it can be flipped, put on a bow with the desired angle and size. 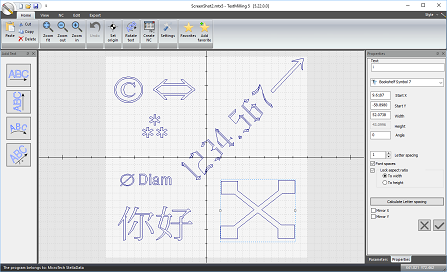 When satisfied with the result , you can choose to create an NC program that is directly transferable to the CNC-machine or a DXF file that can be read into CAD/CAM for further processing. 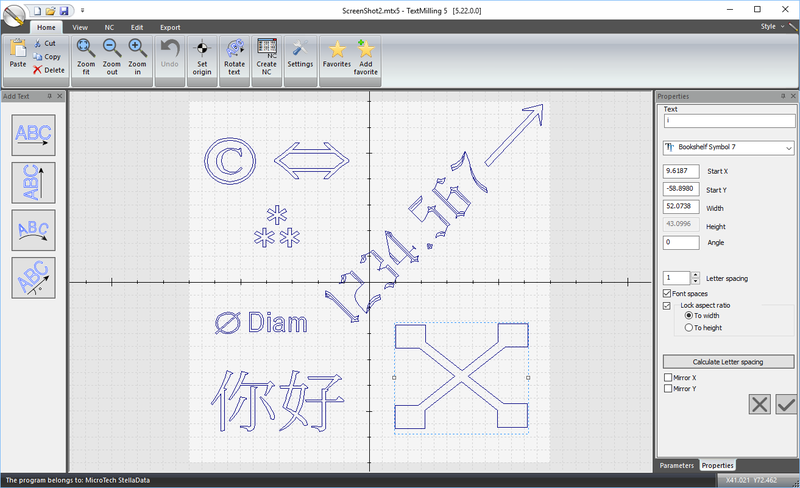 The TextMilling program is used in the engineering industry for the manufacturing of engraved signs thanks to its ease of use and abundance of functions. The program is simple to use and requires no previous experience of computers. TextMilling allows you to get fixed font width on fonts that do not have a fixed character width. By placing each letter in a box of specified width and height, the dimensions of the text can be effectively detailed. 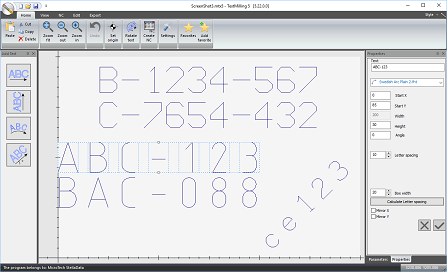 TextMilling supports True Type Fonts (TTF) and Open Type Fonts (OTF) which is the default format for fonts in Windows and most other operating systems. We have also included lots of so-called engraving fonts. These fonts are custom-made for different types of engraving. Most of them are single-track instead of the normal double-track, making them ideal for, for example, engraving of article numbers, etc. Along with TextMilling included a number of post processors for different controllers . As a user , you can adjust a post processor for your control system using our postprocessor editor that can be freely downloaded from the website. If you are not satisfied with the post processors that are included, please send us an email. We have developed a variety of post processors for different customers’ specific needs, including engraving in lathe with driven tools. 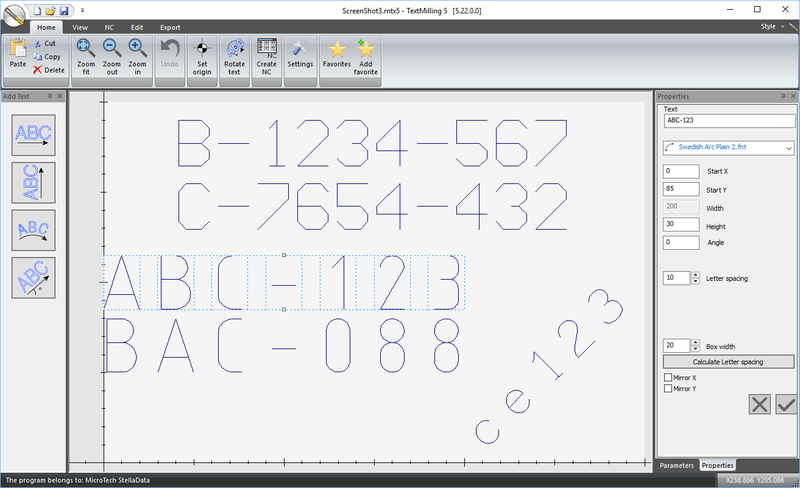 When creating a text , it is possible to make a number of processing parameters such as tool number , contour depth, feeding etc. . These settings can be specified for each item. This means that it is possible to specify different depths or feeds for different items.